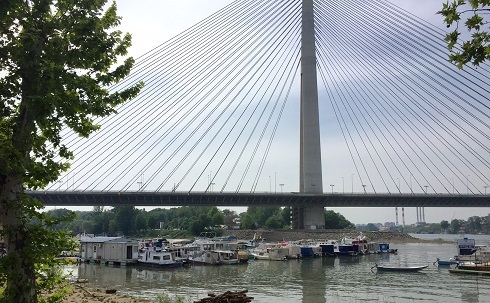 ABOARD THE AMASONATA – One would think that Belgrade, a city that has been destroyed no less than 40 times over its 2300- year lifetime, might give up and call it quits. To some extent it looks like it has. It’s not a pretty town. Passengers on our riverboat did not sign up for this cruise because they wanted to visit the vistas of Belgrade. But there’s life here still. 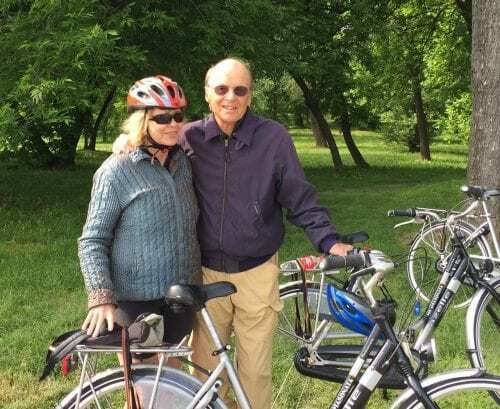 The cruise manager had a variety of different ways for us to “do” Belgrade –from a guided city walk, to a tour of Josip Tito’s memorial, to a plum brandy tasting at a nearby distillery, to a guided bicycle ride through the city and its surroundings. The tour of Tito’s memorial and the facts surrounding that era made for a fascinating walk through contemporary history — just as our visit to the Heroes Cemetery and battle-scarred streets in Vukovar did yesterday. All the guides on this cruise have been extremely knowledgeable and make the complicated history of this region come alive. Being longtime biking enthusiasts, we chose to tour Belgrade by pedal power. Eight of us picked up the ship’s shiny new bikes and headed up a path along the Sava River, young Serbian guides front and rear. We immediately ran into a mess of cranes and earth-moving equipment, muddy fields and broken hunks of cement. Surprisingly, it turned out to be the start of a giant building project financed by the United Arab Emirates. The U.A.E. promises that this multi-billion dollar project will result in an attractive and modern place to live, work and play along the banks of the Sava . . . in 30 years! 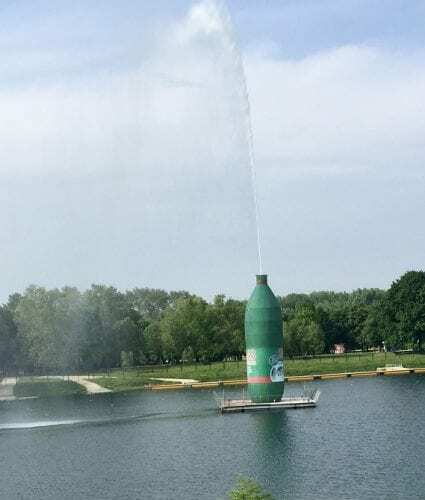 Making our way around the construction site, we passed houseboat restaurants, fishing and pleasure boats, and finally, a large manmade lake in a recreation area offering soccer fields, tennis courts and picnic areas. Our Belgrade-born guide, Borislav Vesnic, kept up a running good-humored commentary about life in Serbia as we pedaled along. Serbians, he told us, are all carnivores. “Pork is our favorite vegetable,” he said, “and since we are in the middle of the Greek Orthodox Holy Week, we can’t eat meat. Our solution is very simple. We bless the pork and call it fish, then we can eat it,” he joked. Many young Serbians may be unemployed -– but not the delightful group of professional young musicians and dancers who came aboard last night, dressed in their national finery, and entertained us with a Broadway-caliber performance of acrobatic dancing and lively music.